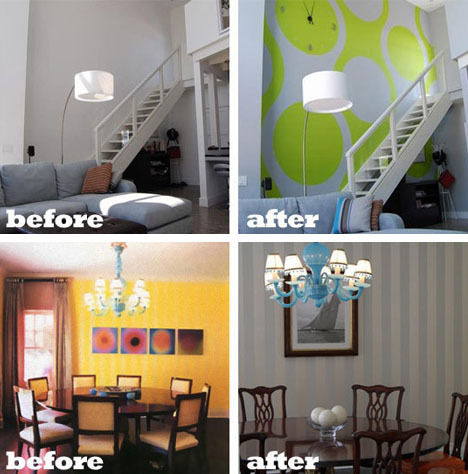 A little painting can go a long way toward transforming the look and feel of a space, so before you change the wallpaper or toss out your old furniture, consider some before-and-after project examples that show how a change in color can liven up a dull space or dampen an overly dramatic one. 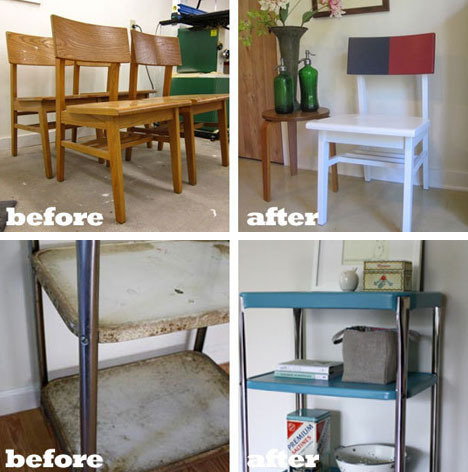 ApartmentTherapy covers such projects regularly, but individually they are not quite as interesting – after all, a blue, red and white chair may just not be your thing. Taken together, though, they show just how much you can alter character and mood with a change in tone or brightness. 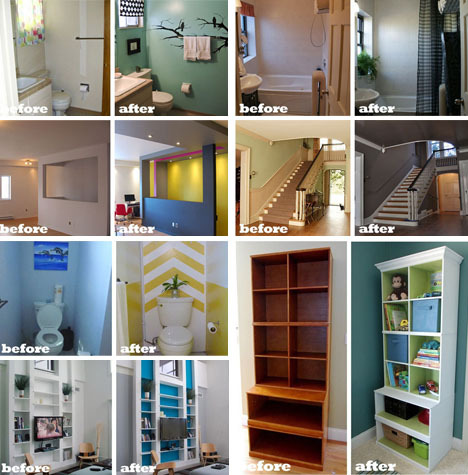 Bland bathrooms are just plain (and) uncomfortable – and too much white (or pastel) can kill an entry or living space. Highlights on the backs of wall bookshelves or free-standing bookcases can also help add dimension to a space by providing creative contrast.